...but mostly music: the most ungodly vice of all. 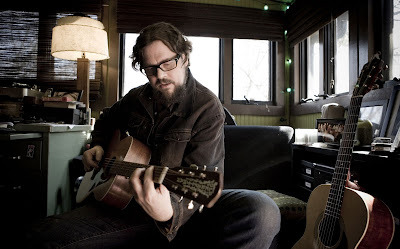 Last month, on Valentine's Day as a matter fact, the Drive-By Truckers rolled their rock show into Knoxville to the Bijou Theatre. 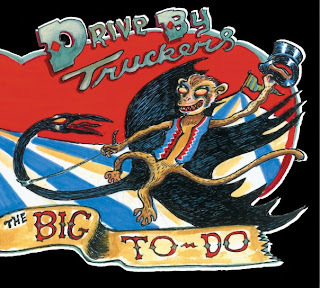 The Truckers are currently touring in promotion and preparation of their upcoming release this week of their tenth studio album, The Big To-Do. We caught up with Patterson Hood, the long hauler and lead Trucker, to discuss the new album, a summer tour with Tom Petty and the Heartbreakers and a few bands that we all need to know about. Saints Don't Bother: How would you describe the newest album The Big To-Do (your first release on ATO Records) to your older fans that have been listening for a while and to those newer fans that aren't as familiar with the progression and history of the band and album flow? In short- how does TBT-D lineup in comparison to the previous albums and to further the sound and 'agenda' of the Truckers? Patterson Hood: It's probably a bit more concise and Rocking than some of our later records. Definitely more melodic, a little more attention paid to musical structuring. I think it's a really good sounding record sonically, definitely our best sounding record. I'm very proud of the songs and the way we played them. All of our records have been recorded more or less live in the studio and this one isn't an exception, but the band is really playing great right now. SDB: Right off the bat, before a note is even heard on DBT albums, y'all have some of the most interesting song/album titles ("The Wig He Made Her Wear", "The Flying Wallendas", The Big To-Do ). Are your titles a conscious part of songwriting and putting the album together, or are they after thoughts that just seem to really compliment the songs/albums nicely? the album's title before most of the songs on it. SDB: What's your favorite track on The Big To-Do and why? PH: I'm really proud of them all but "Birthday Boy" is probably my favorite. I always love Cooley's songs and this is one of his very best ever. SDB: The DBTs are touring with Tom Petty and the Heartbreakers this summer (one of my all time faves, and the most under-rated American rock musician). How did this come about? Did it have anything to do with your cover of his song "Rebels" (it's one of my favorites) on last year's rarities and b-sides collection The Fine Print? Why, of all of his songs, did y'all pick that one? How did he respond to y'all wanting to cover it and to the finished product? PH: I have no idea if that had any direct affect. We're all HUGE Tom Petty and The Heartbreakers fans from way back. They're probably collectively our favorite band on earth so it's a real honor to open for them. We recorded "Rebels" for the TV show King Of The Hill. We were asked to for that specific song because they wanted a more guitar rock version of that song for the show. Tom Petty played a character on that episode (which became a reoccurring role for him) and they told us he had signed off on us performing his song on the show. That was also exciting because we all loved that show. SDB: Y'all were in Knoxville a couple weeks back on Valentine's Day, and played one of the better shows I've seen from y'all in some time. Is there a different approach to tours with a new album to promote, is there something we don't know or is everything really clicking right now? I would say it must be that y'all are well-rested, but 2009 was one of the busier years of recent past with Booker T's album and tour, your solo album, a dvd, a movie soundtrack that was shot just outside of here in Knoxville, a little bit of regular touring, etc...what else did I miss? What's different than a year ago? Two years ago? PH: The band is in an especially good place right now. we have our magic lineup and everything is just clicking like it's supposed to be, We all loved The Bijou. SDB: I see that y'all have several projects and another album this year, so 2010 doesn't seem to be slowing down anytime soon. What can we expect for this year from the DBTs? PH: We'll be touring extensively behind The Big To-Do and at some point releasing a second album from the sessions called "Go-Go Boots" which is the polar opposite version of what we do. I really like it too, but for different reasons. SDB: Couple more things- What are 5 bands, acts, groups or singers that you are digging now that we all need to know about? PH: Spoon, Iron and Wine, Bloodkin, Collin Hering, and Glossary all have exceptional new albums. David Barbe (who has produced our last 7 or so albums) also has a fantastic new album with his band (David Barbe and The Quick Hooks) called "Love It, Don't Choke It To Death" which is coming out this week and I really love. SDB: What excites you the most about this year professionally and personally? PH: Personally, my family. We have a 5 year old little girl who is my pride and joy and a 5 month old little boy who is super cool. Professionally it's the band that I'm most excited about. Looking forward to going out and playing this album live a few hundred times. 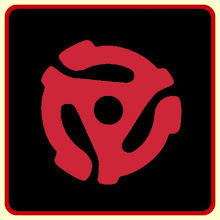 Again, you can pick up The Big To-Do on Tuesday at your local (preferably, but not mandatory) independent record store. In the meantime, you can listen to The Big To-Do online at the DBT myspace page and download Patterson's favorite song on the record, "Birthday Boy", at the DBT page. Also, tickets are on sale now for the Truckers' summer tour dates with and without Tom Petty here, which include nearby shows in Lexington, Asheville, Chattanooga, Nashville, Memphis and Cincinnati (with Tom Petty). Here is a list of The Big To-Do listening parties. Go listen to the new album with other fans this week and see what you think...and make some new Trucker friends. Download the DBT's cover of Tom Petty and the Heartbreakers' "Rebels". What do you think about the new album? Let me know! As Patterson says, "See ya at the rock show!" Out today... Go get it!